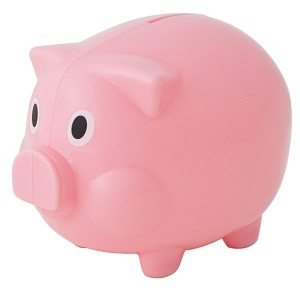 Budget Piggy Bank - Express Corporate - Promotional Products - Delivered Fast! A budget piggy for saving the pennies. Plastic pink piggy bank with key-operated base.